Christmas has and always will be a special time of year for us to spend with family. I have always been someone who loves engaging in traditions and the Christmas season is a time of year that is filled with many for us. I can’t wait for Emsley to be a bit older so we can create new traditions with her and watch her as she anticipates this season. It feels like yesterday that we were sharing our exciting news with our families of being pregnant with our little “blueberry” exactly one year ago today. Crazy to think that it has been a whole year since we were discussing how different this Christmas would be having a little baby around and here we are now living it! Emsley brings us so much joy each and everyday but it’s on holidays and events like Christmas that we gather with family and are able to see the joy that she brings to everyone she encounters. There is nothing greater than being her parents and witnessing this! 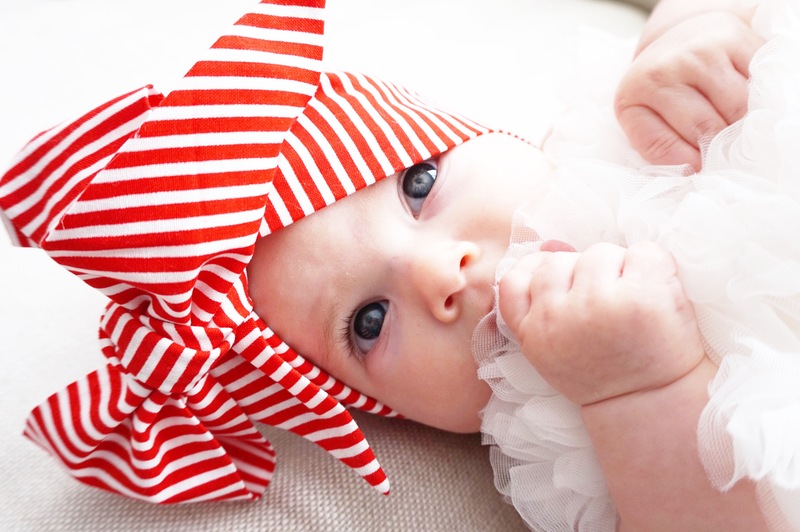 I don’t ever really need an excuse to play dress up with my babe but the Christmas season does excite me as there is nothing cuter than seeing babies in dresses, frills and “Santa” apparel. 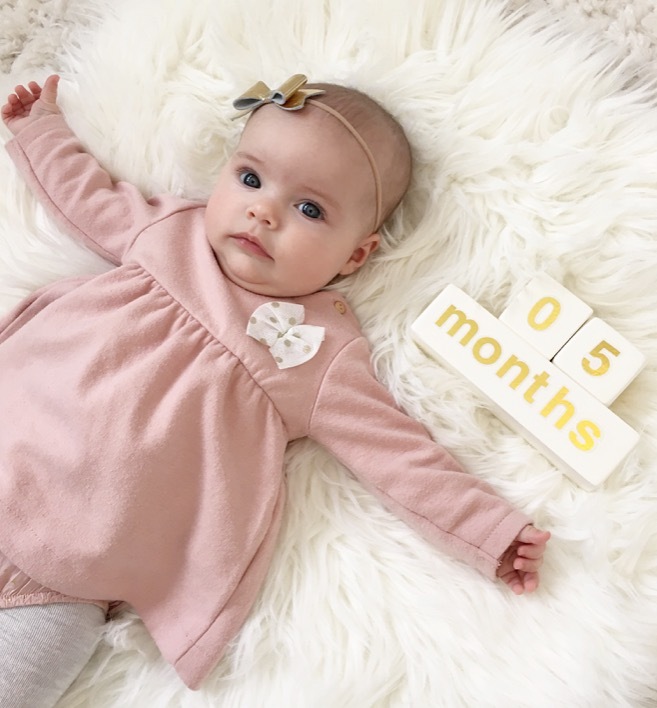 I realize that Emsley is only going to be this little for so long and therefore I feel it’s important to not only enjoy dressing her (while she still lets me!) but also to capture all these special moments, as I am already seeing how fast time is passing since she made her arrival in this world. Merry First Christmas baby girl! Well, it’s been exactly one year ago today that I peed on a stick, only to see a positive symbol appear. I remember it like it was yesterday. After experiencing a very early miscarriage the month prior I had read online that many women who had experienced the same thing had become pregnant the month after. Normally I would be someone who was totally consumed with excitement and thoughts of the possibility of becoming pregnant that I would be counting down the days and hours until I could test (like I had been the month prior). However, in this case we had just moved into our new home not even a week prior and I was so busy with unpacking and decorating that the thoughts of pregnancy were far from my mind. We toasted with champagne to our new home the day we moved in and indulged in our favourite combo of cheese and red wine a few days later. My husband had left on the road for work that Monday and I was left alone in our new home for the workweek.